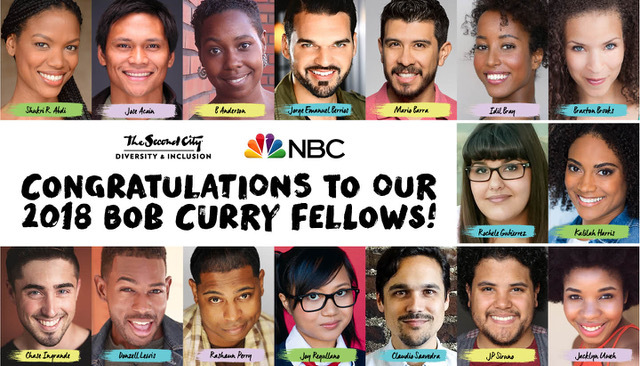 The Second City Hollywood has announced the 2018 Bob Curry Fellows. The Bob Curry Fellowship is a one-of-a-kind professional development master program, named for the first African-American performer on a resident stage. These actors and improvisers from diverse multicultural backgrounds will train and study at The Second City Hollywood and perform in October of this year. The fellows are (in alphabetical order) Shukri R. Abdi, Jose Acain, B Anderson, Jorge Emanuel Berrios, Mario Barra, Idil Bray, Braxton Brooks, Rochele Gutierrez, Kalilah Harris, Chase Ingrande, Donzell Lewis, Rashaun Perry, Joy Regullano, Claudio Saavedra, JP Siruno, and Jacklyn Uweh. During this ten-week program, fellows will meet twice weekly with a variety of Second City instructors and alumni to cover topics like Finding Your Voice, Acting, Improv, Writing, Satire, Musical Improv, Scripted Material, Material Generation, The Second City Archive, History, and Lore. The program will culminate with performances at Second City Hollywood’s Studio Theatre on Thursdays, October 4, 11, 18, and 25 at 9pm and 10pm with a different cast each hour. Tickets can be purchased at secondcity.com. Industry and press comps are available. Now in its fifth year at Second City’s home base in Chicago, this unique fellowship boasts a rigorous master program for serious-minded talent seeking a career in sketch comedy. The highly competitive fellowship is tuition-free and awarded to exceptional talent selected by auditions and adjudicated by Second City directors and producers. The Bob Curry Fellowship program is designed for, but not limited to, those who identify as any of the following — Asian Pacific, Subcontinent Asian, African American, Hispanic, Native American, and Middle Eastern. 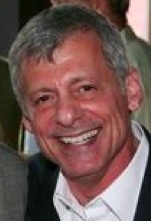 The Second City is located at 6560 Hollywood Boulevard, in Hollywood, 90028. For more information, email outreach@secondcity.com or call (323) 464-8542.